SpongeBuddy Mania - SpongeBob Comics #74: Fishy Friends 4-ever! 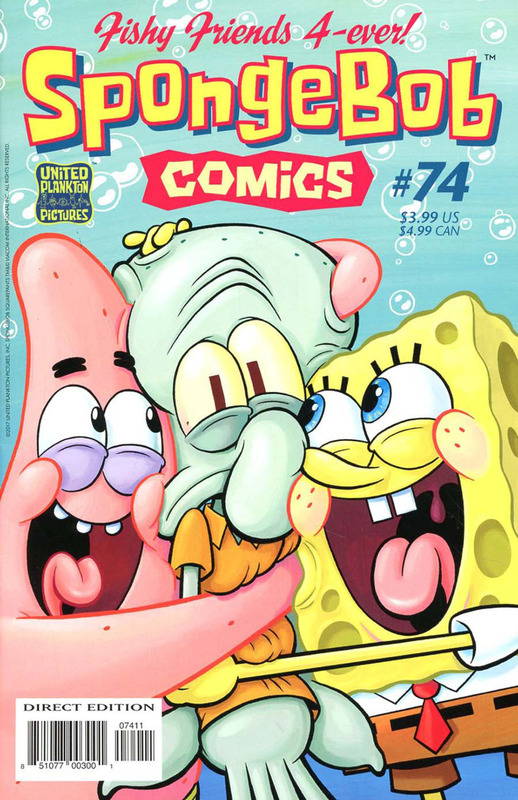 SpongeBob Comics #74: Fishy Friends 4-ever! It’s our Finny Friendship Issue, celebrating aquatic affinity among the denizens of Bikini Bottom! See SpongeBob dare the dangers of dry land to save his (debatable) friendship with Squidward! Witness SpongeBob and Patrick fall out over a dumb TV cartoon program! Observe SpongeBob’s invisible imaginary friend-or at least read a good description of him! Plus: Squidward befriends a flower in “SpongeFunnies”; and science cartoonist Maris Wicks tells us about real world fish “friends” – sharks and remoras!